A refreshing beet carrot apple juice that contains simple ingredients and will keep you going long after you’ve hit that afternoon slump! Working from home has its upsides and its downsides. For me, there are definitely more upsides than down, I will never complain about it. Never. I enjoy it too much. One of my favourite perks is having the luxury of walking to the kitchen and making something from scratch, whenever I feel like it. 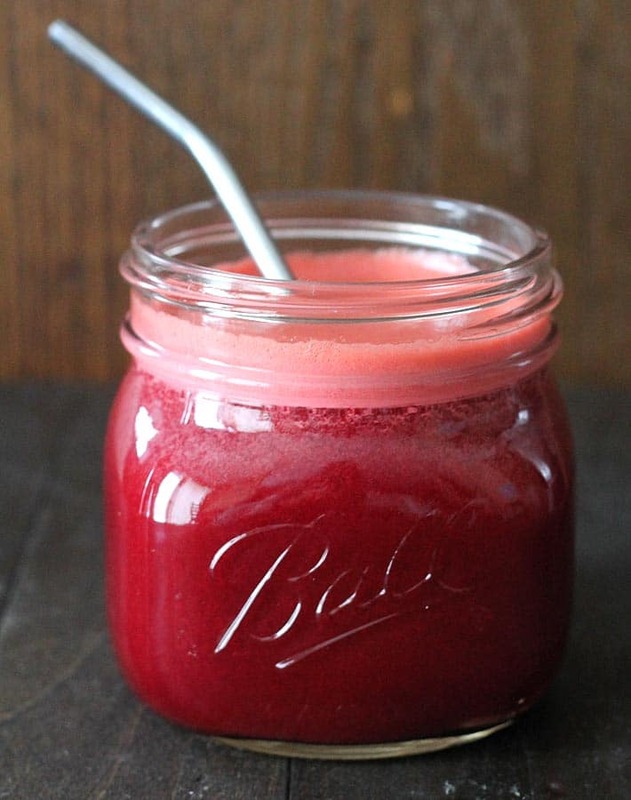 Like this beet carrot apple juice. Or as I like to call it: My “afternoon slump” juice. Some days, as much as I want to, I can’t just turn off my computer and call it a day. Deadlines are constantly calling my name. Since I don’t rely on caffeine to keep me going, one of my alternatives is to get up and make some fresh juice using whatever happens to be in the fridge. I bought a compact juicer over the holidays, after debating whether I should get one for quite a while (for those of you who have asked, this is the one I bought!). I was on the fence about a juicer because I swear by my smoothies and I think throwing away all that healthy fibre after juicing is a waste. BUT, I know that despite the lack of fibre, juicing is still healthy, so why not? This was the first juice combo I tried after buying my juicer. Naturally, it contains beets, because I love them for their health benefits. Plus, look at the vibrant colour they contribute to the juice! Don’t you want to drink this RIGHT NOW? Beets also happen to be a main ingredient in my favourite Berry Beet Ginger Smoothie (another must-try!). 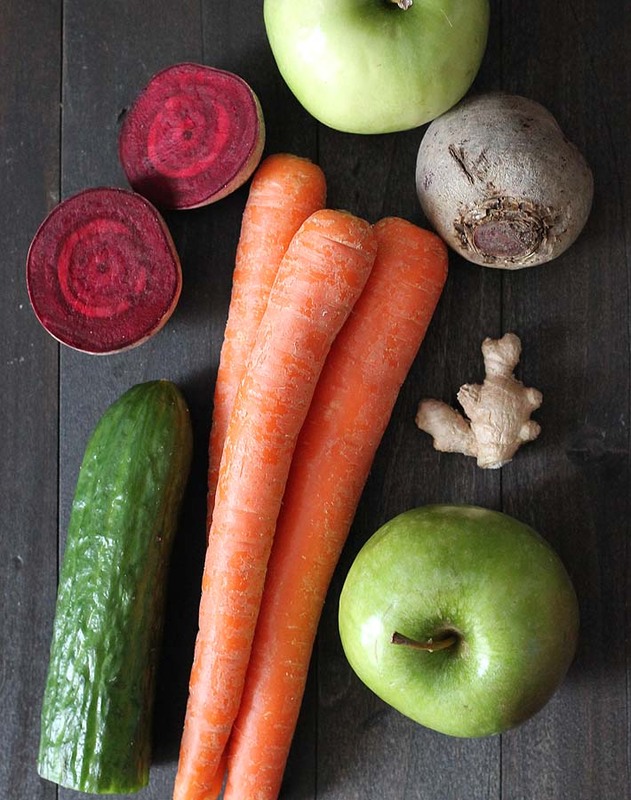 In addition to the beets, it also has carrots and apples (carrots and apples work so well in pretty much any juice), cucumber which adds a nice fresh flavour, and one of my faves, fresh ginger, which adds a nice little “oh, hi there!” zing. 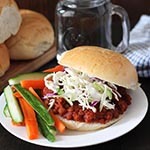 Overall, it’s sweet and tangy with a little kick from the ginger. You really need to try it to know exactly what I’m trying to describe! It’s a very nice combo. I hope you like it. 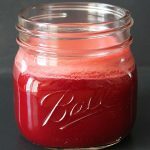 Be sure to pin it to Pinterest so you have easy access to it and if you make this beet carrot apple juice, share a pic with me on Instagram. I’m @delightfuladventures over there! For even more juice recipes, be sure to follow my Healthy Juice and Smoothie Recipes Pinterest board. Have you hit an afternoon slump? 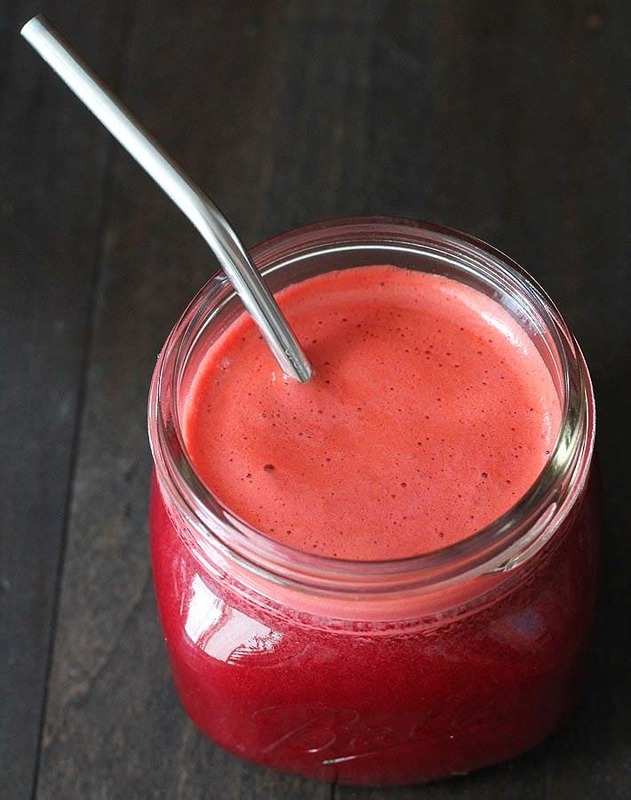 You'll be energized to keep going after making yourself a glass of this refreshing beet carrot apple juice. Wash and trim all ingredients. Cut into pieces that will fit your juicer. Images for this post were updated March 2018. 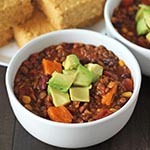 Can you make ahead and save it in a glass jar for later? Looks great! Do we put the raw beets or do we boil them first? Hi Ayman, they go in raw. 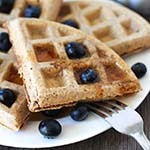 Can you make this with a blender? I do not have a juicer. Hi Bre, if you make it in a blender, it will be a smoothie, not juice, which will be fine if you don’t mind smoothies 🙂 If you do prefer a juice, you can still do it in your blender, but you will have to strain it to get all the pulp and fibre out. Let me know how it goes! Haha love that Arrested Development GIF. Miss that show! 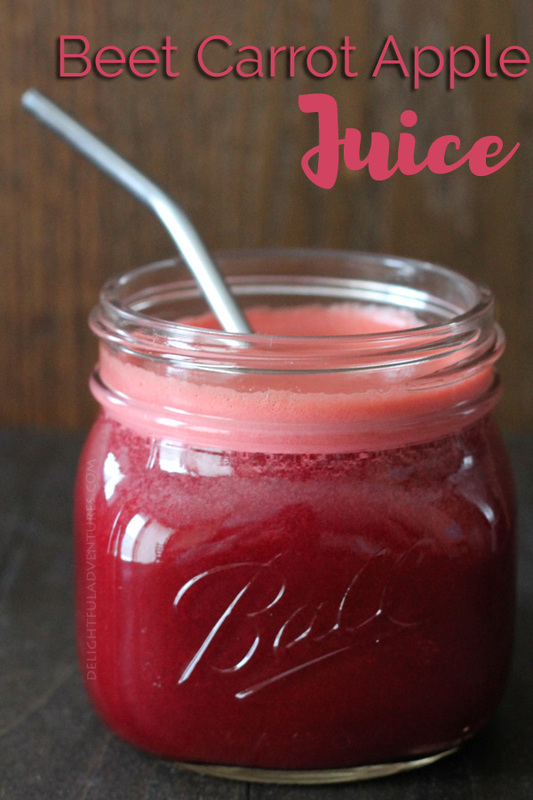 I wish I had a juicer so I could make this – I love any fresh juice with beets in it! But I don’t love paying the $10 price that most places charge. I love all of these things in a salad, must now try it as a drink! LOL at the video! I feel like that multiple times of the day, every day! 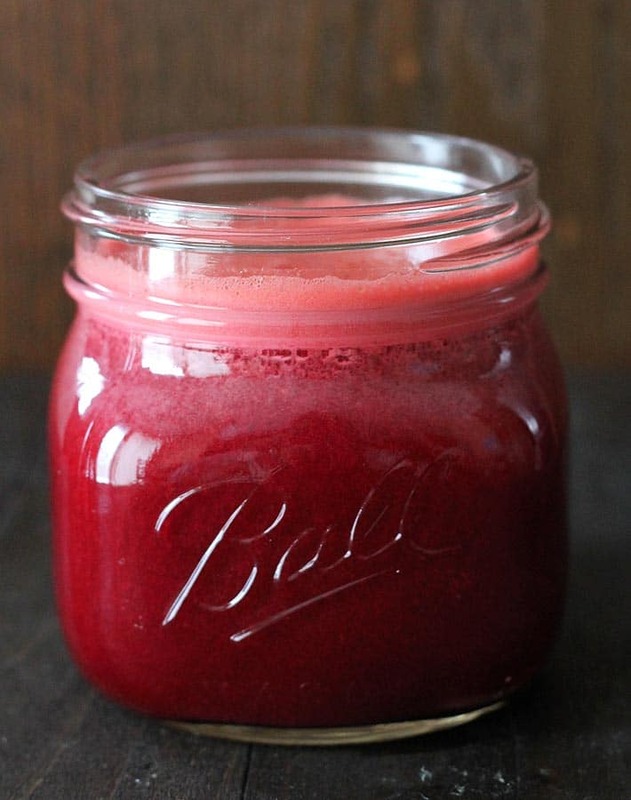 I love beets in juice form and not really in raw or cooked form (roasting it does nothing for me) – this one sounds refreshing especially with the ginger and cucumber. I’ll have to try it out soon and see what it does for my energy levels. Yep, that is me most days 😉 I love beets, my family doesn’t…so I have to find ways in which I can still have them outside of meals. This is a perfect way! I hope you try it! If you do, let me know if you like it!